Call our Business Planning Attorney Today! Are you ready to write your will in case of an emergency? Want to leave something behind for your loved ones? Hire an estate planning attorney to figure out the way you want your legacy to live. Chambers & Ennis in Raleigh, NC is an administrative law firm that focuses on a variety of issues surrounding personal property. We can also assist you with matters of power of attorney. Our firm is dedicated to providing you with more than satisfactory legal work. Our firm helps individuals and families plan for life, overcome the challenges brought about with death, preserve wealth, and protect inheritances. It is important to have an estate planning attorney when you plan on buying a house. When signing large amounts of paperwork that you are unsure of what they mean, make sure to have a probate attorney by your side. Our business planning attorney & charitable giving attorney can help. A strong business plan is important for any successful business. 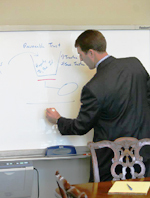 Our business planning attorneys can help with all stages of the business life cycle. We provide services for the formation, growth and disposition stages of businesses. We are ready to help you set & achieve goals to lead your business to success. Our business planning attorney can work with you to find the best path forward for your business and your future. No matter if that includes a special needs trust or the services of a charitable giving attorney, who can help you to find the most effective use of your philanthropic dollars, we can help. Work with our asset protection attorney today. By actively listening to our clients, our attorneys create and administer highly personalized plans that reflect our clients' unique situations. Clients engage Chambers & Ennis when planning for the two most important aspects of their lives: everything they own and everyone they love dearly. Our business planning attorney and estate planning attorney do more than just crunch the numbers. They help you set the foundation for true success. Chambers & Ennis is equipped with correct and leading-edge research, analysis, and technology required in this area of law. Our goal is to give you peace of mind and that goal has received affirmation throughout years of practice in this area of law. Estate planning, at its best, should focus on a client’s goals for transferring their estate to loved ones or charity in a timely and cost efficient manner. And whether that means creating the right will for you or establishing power of attorney, we can help. Our experienced wills attorney can help you and your loved ones create a will to determine how your assets will be distributed when you pass away. A will sets the guidelines for distributing assets, selecting a guardian for children and any charitable distributions. Wills are set up to direct your assets after your death. Wills are very complex and should not be made without the help of an attorney. Chambers & Ennis offers a knowledgeable wills attorney who is experienced in wills and trusts. Don’t let creating your loan be stressful. Chambers & Ennis is here to help in your legal process. Our probate attorney can handle any type of legal document, especially wills. Setting up trusts is another way to keep your assets protected. A trust fund can be used to set aside a large amount of money for your child, spouse, or relative. In case anything happens to you, your loved one will have access to this trust fund. Our trust attorney will help you set up a proper trust. Look to David Chambers, your trust attorney that is a seasoned estate, tax, and wills attorney bringing energy, insight, and maturity to the unique practice of estate management. The majority of Mr. Chambers’ clientele are located in the Raleigh, NC, Durham, and Chapel Hill area, and a significant number of clients also come from numerous counties in eastern North Carolina. Hire our wills attorney to create your will. Our trust attorney has extensive experience with special needs trust law. David Chambers has equipped his firm with the staff and tools for correct and leading-edge research, analysis, and technology required in this area of law. His goal is to give you peace of mind and that goal has received affirmation throughout years of practice in this area of law. He wants you to believe in the trust attorney that works with you. Estate planning should focus on multiple goals, and that's why your asset protection attorney should understand what you want. Our charitable giving attorney can even help you find the most beneficial way to give. We can even help with special needs trust law. Estate planning goals for active duty and retired military members requires a special appreciation of concerns unique to those military families and their dependents. David has provided estate planning and trust and estate administration planning for all representative branches of military service for over a decade. 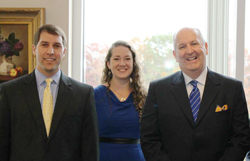 Chambers & Ennis is an asset protection attorney firm that is focused on estate planning. When you need help with wills, trusts, and your assets please give them a call right away. 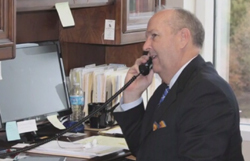 A probate attorney will be on the phone with you shortly and discuss any legal documents you would like created. 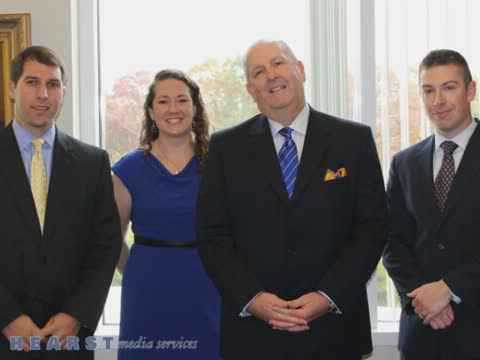 Look to David Chambers Law Firm today. Estate Planning, Asset Protection, Advanced Estate Planning, Wealth Transfer, Probate/Estate Administration, Special Needs Planning, Elder Law, Charitable Planning, Pet Trusts Military, Estate Planning, Wealth Transfer Planning, Probate Administration, Estate Administration, No Cost Consultation. member of Academy of Special Needs Planners.